Michaelis alumna, Alice Mann recently won the prestigious Taylor Wessing photographic competition. Alice, who specialised in photography while at Michaelis, will be exhibiting her photographs at the National Portrait Gallery in London. A portrait series on all-female teams of drum majorettes in South Africa’s Western Cape province has won a major photography award. 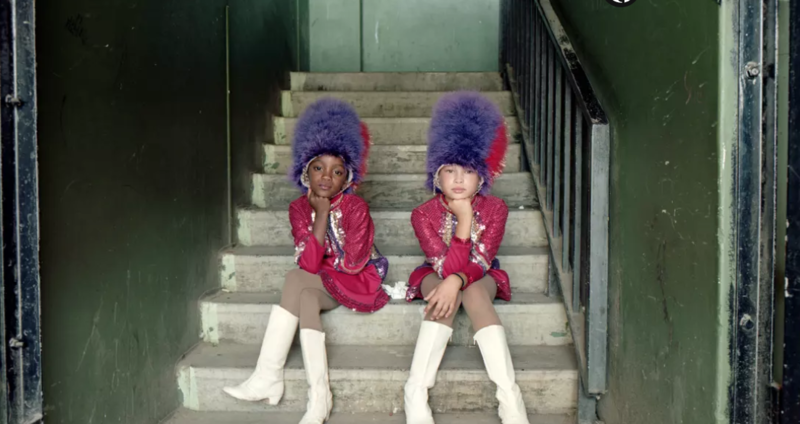 Alice Mann, a London-based photographic artist, was awarded the 2018 Taylor Wessing prize 2018 at the National Portrait Gallery, London, on Tuesday, for four pictures of the majorettes. Many of the drummies, as they are affectionately known, come from some of the most disadvantaged communities in Mann’s native country. It is the first time in the competition’s history that a series of images has won rather than an individual photograph; the rules were changed to permit multiple pictures in 2015. Mann said: “These four portraits are some of my favourite images, especially the one of Riley and Wakiesha because they are so charismatic. For these girls, involvement in drummies becomes a vehicle for them to excel, and the distinctive uniforms serve as a visual marker of perceived success and represents emancipation from their surroundings. Her portraits were chosen from a shortlist of four entries, which had been whittled down from from 4,462 submissions by 1,973 photographers from 70 countries.